Handyman Services Independence MO 816-698-5252 - General home repairs, carpentry, painting, plumbing, electrical, home remodeling and additions, senior home modification, wheelchair ramps, stair lifts, kitchen and bath remodeling and more...just ask! Home Modification Independence Handyman: HandyPro Handyman Service provides home assessments for seniors and physically challenged residents who are not ready for a nursing home or assisted living facility. While millions are living longer and more active lives, these maturing Americans are looking for ways to revitalize their home. HandyPro will send a local senior home modification expert to evaluate your personal situation and come up with a solution that will help you stay in your home, safely and securely. HandyPro Handyman Service can help you evaluate your home for minor improvements such grab bars to full ADA compliant home remodeling. Hire a Handyman from HandyPro - Experience the Difference! What’s on your to-do list? 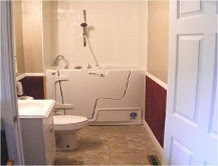 HandyPro Handyman Services offers affordable solutions to a wide variety of home repairs and maintenance projects. 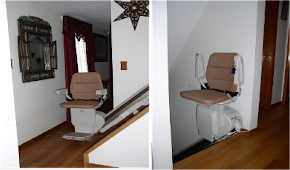 They also offer senior home modification services including kitchen and bathroom remodeling, stair lifts, wheelchair ramps, super strong grab bars, walk-in tubs and showers and more. 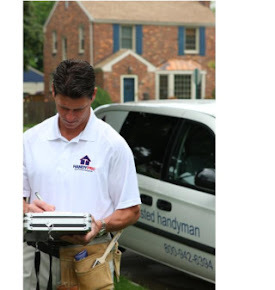 HandyPro specializes in helping the homeowner, business or property manager have minor repairs completed professionally, in a timely manner, and guarantees 100% customer satisfaction. Hiring a Handyman, Senior home modification, wheelchair ramps, stair rails and grab bars, stair lifts, kitchen and bathroom retrofitting, Carpentry, Plaster, Drywall, Acoustic Ceilings, Grout tub, fix leaky faucet, home warranty/maintenance, paint home, caulk bathtub, replace locks, garage doors, cabinets, countertops, fix running toilet, repair squeaky door, install molding, security services, stained glass, door repair/install, drywall repair, painting, kitchen, insulation, concrete, masonry, repair gutters, remove wallpaper, replace ceiling fan, caulk awning, siding repair, install shelves, organizers, ceramic tile, window well covers, replace bathroom fan, draperies, blinds, shades, glass, mirrors, decks, and much more…just ask!